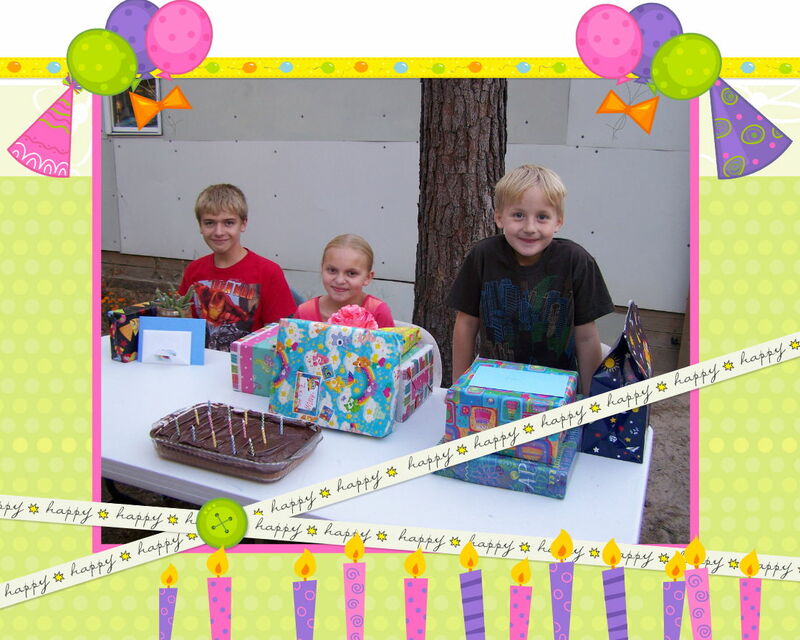 OK so this may be the “lazy and cheap” way to do a birthday party but it works for us! My kids birthdays are two weeks apart, starting in the middle of October ending in the middle of November. My solution is, have a party on the middle birthday and throw it for all three, only a small party and only family. It saves so much time and money by only having to buy food and cake and decorations for one party. Also, it is nice to only have one gathering with the family since Thanksgiving is in November too. Aside from the tri-party, on or around the actual date of the birth of each child we cooked them a big breakfast of their choice, take them out to the movies or someplace special, and out to eat and shopping to spend their birthday money, and I cook them a dessert that they choose. It is still easier for me to do it this way rather than a traditional “party per kid” way. They all seem very happy with this idea and they all had a great birthday this year. I have some awesome kids. They were all patient and took turns blowing out their candles and opening presents. The way we do the candle blowing is I start out the cake with the fifteen candles needed this year for my oldest Austin, then I remove five and relight, and then remove two more and relight so each kid gets Happy Birthday sang to them and all get to blow out candles. Stewart cooked some burgers on the grill and we had cake, then the cousins all played and the adults sat around and chatted till it was time to leave. A successful party for 2010! 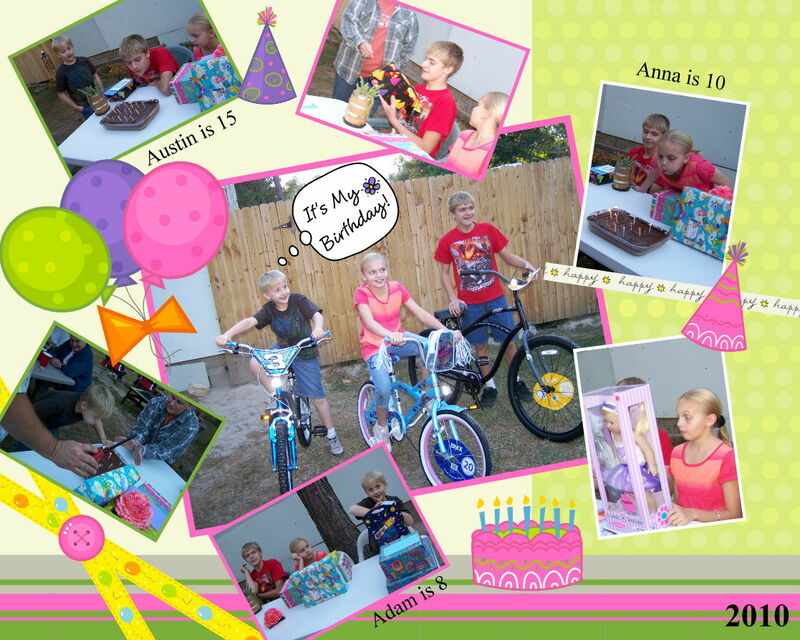 Posted on November 1, 2010, in Celebrate, Family Fun and tagged Birthday. Bookmark the permalink. Leave a comment.